The coast and the cliffs around Charmouth and Lyme Regis are world famous for fossils.These fossils can be found washed out of the cliffs loose on the beach in the gravel and shingle. The best place to look for fossils is in the loose material on the beach and NOT in the cliffs. If you are planning to visit Charmouth to find fossils the best starting place is a visit to the Charmouth Heritage Coast Centre. The wardens here will be able to give you advice on where to look, what you might find and how to look after any fossils you do find. Here at the Charmouth Heritage Coast Centre we record the important fossil finds that are found along this stretch of the Jurassic Coast. We work with the public and professional collectors to record key scientific finds. We then inform experts about the finds to see if they would be interested in studying the specimens. The area around Charmouth and Lyme Regis is one of the most important sites in the world for Lower Jurassic fossils. New and important discoveries are still being made on this coastline and it is essential that important fossils are collected before they are destroyed by the sea. The code sits within a wider rationale regarding the effective management of fossil sites and that is based on the simple idea that the sites where fossils come from vary in their sensitivity to collecting. Sites such as Charmouth require active collecting effort in order to rescue the fossils as they are exposed by erosion but other sites, such as a cave deposit or abandoned mine tip are finite in their reserves and collecting has the potential to damage or even completely destroy them. The approach has been developed by Natural England, the Joint Nature Conservation Committee and the Jurassic Coast Word Heritage Site Team. The Fossil Collecting Code requires collectors not to dig in situ within the cliffs without permission and to record specimens of key scientific importance here at the Charmouth Heritage Coast Centre. Fossils are being uncovered every day and if they are not collected they will be destroyed by the sea. For this reason it’s very important to work with the local collectors who are able to go out at a moments notice after the big winter storms and landslides. Their knowledge and experience of the local coast and its fossils makes them key to recovering scientifically important specimens. If collectors abide by the code, then ownership of the fossils they find on National Trust and Charmouth Parish Council land will be transferred to them. Ownership is transferred in recognition of the time, skill and effort made by collectors in the recovery and preparation (cleaning) of the specimens. If collectors want to sell important fossils, then they must first offer them to an accredited museum in the UK. Any collectors who have found fossils along the West Dorset coast, which fall into the following categories are encouraged to report and record their finds. Please contact the Centre if you have any questions about the code or if you would like to report a fossil. 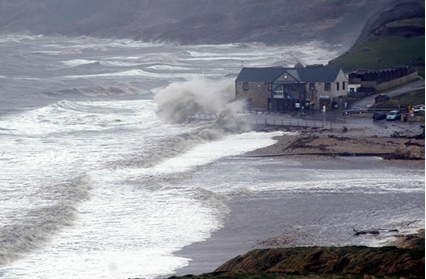 Either email info(at)charmouth.org or use our contact form. Once a specimen has been recorded at the Centre the next step is to contact an expert on the particular type of fossil to see if it is of interest to science. This often depends on interested academics making themselves known to the Centre. We have recorded over 250 specimens for the code and many have been acquired by museums through donation or sale while a number of others are available for research. We are seeking to create contacts with museums and palaeontologists who wish to study or acquire specimens from this stretch of coast. Although the Lower Lias rocks of Dorset have been studied for over 200 years, discoveries which are new to science are still unearthed on this amazing stretch of the Jurassic Coast. Please contact the Centre if you have any enquiries.